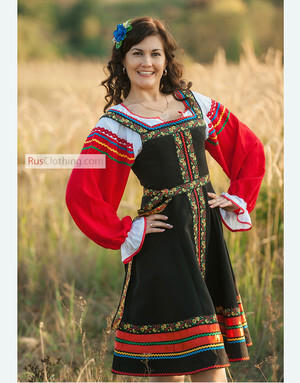 Traditional sarafan dresses presented at Rusclothing.com are used for dance performances, ballets and theaters as well as on weddings and folk holidays occasions. 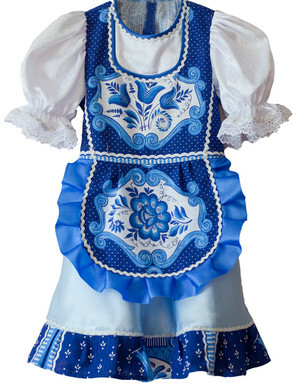 All our traditional costumes are handmade and can be custom designed for any specific show. 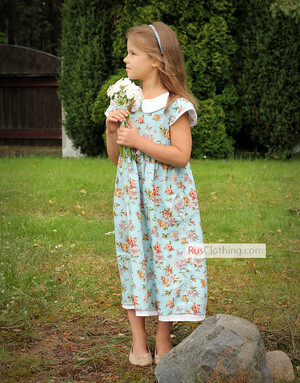 The pattern and style of folk dreses, incl. Ukrainian costumes, keep old traditions and embroidery signs. 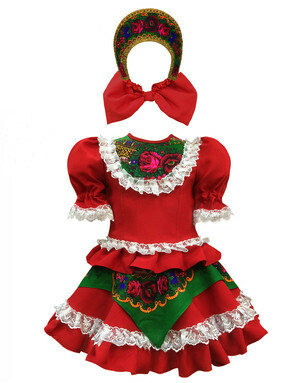 Red, blue, green, white, yellow - folk costumes color range is rich and various. 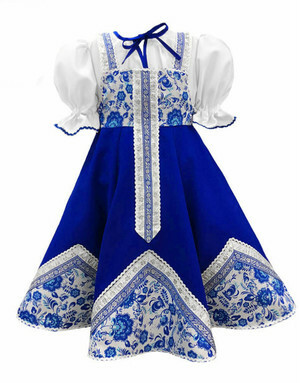 Originally Russian national costumes differed from one region to another, but there were two main Russian dress types: sarafan based and poneva based costumes. 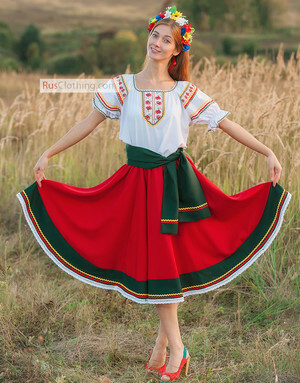 Most dance groups perform in sarafan dresses as they are more stylish and convenient to do folk dancing without restricting movement freedom. 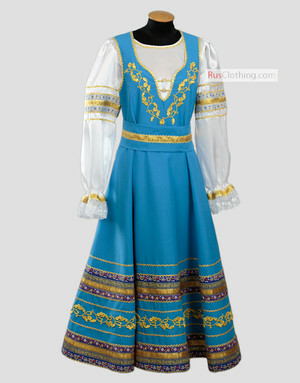 Old Russian traditional dresses identified people living in towns and villages, their income and origin. Festive clothes and everyday traditional clothing, married woman's and young girl's clothes differed by details, decoration, color range. Red fabric cloth was considered to be the nattiest one for sarafan dress. Russian word "beautiful" comes from the word "krasny", the Russian for "red".